“Hmmm.” The girl lights another cigarette. He continues talking. The scene is beginning to resemble a Woody Allen film. She has stepped out of her body and this other her, this omniscient doppelganger, is watching the proceedings from the chair in the corner. “He did,” the other her confirms. The whole, pretentious, comedic scenario plays out. She sits there until he runs out of steam. It isn’t so much pillow talk as a pillow lecture. She is not, however, taking notes. At one point, she attempts a half-hearted counter-point, something about the inherent emptiness in trying to reduce the multifaceted spectrum of human experience to a series of chemical processes, but he isn’t listening. He is busy talking about oxytocin and neurological impulses. At the same time, across the channel, every French person gives a compulsive shudder as they subconsciously sense the moment that romance has indeed died, Leonard Cohen realises that his entire life’s output has been nothing if not pointless, beginning work instead on next year’s eagerly awaited tour de force “5-Hydroxtrypatamine”, and a wormhole opens in the time space continuum which swallows every work of great literature from Shakespeare to Kundera and replaces them with binary code. The girl wonders if, when she leaves the flat the next day, she will be met with some post-apocalyptic scenario on the Kentish Town road. The streets will be silent, deserted, as every hairless ape in the capital stops pretending to emote, peels off their skinny jeans in disgust and gets down to it on the bins outside the Co-Op, before defecating liberally in the frozen foods section. Meanwhile, the hairless ape on her bed starts lolloping towards the door, explaining through a series of grunts that he needs to get home. The female primate scratches her head and, dragging her knuckles along the carpet and bearing her teeth, grunts back. The doppelganger in the corner examines her nails and wonders how long the whole tiresome charade will take. As the boy makes his way to the bus stop, the girl returns to her bedroom, exhausted. The wine bottle lies empty on the bedside table; her cigarettes have all been smoked. As the doppelganger steps seamlessly back into the girl’s body and they are once more at one, she turns her phone off, puts on “Chelsea Hotel”, and goes to bed, confident that any trace of oxytocin that may or may not have been in her system beforehand has been rapidly, and in this case permanently, expelled, and that everything in the world has suddenly been returned to some semblance of normality. Author’s note: I wrote this a year ago for my student newspaper. 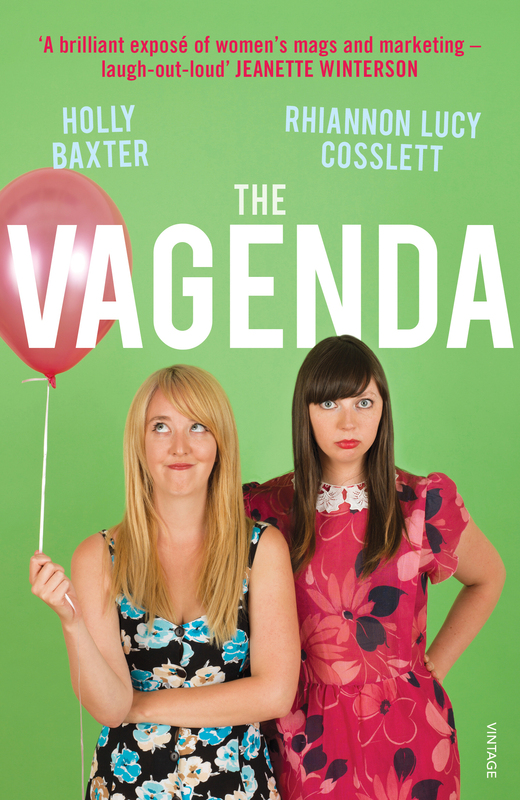 It was around the time that Holly and myself first came up with the idea for the Vagenda. In other words, it’s dead old, but it’s a BANK HOLIDAY, we’re all hungover, and I’m not writing anything else til at least Tuesday. So hopefully this will keep y’all who have been tweeting us for more posts happy for at least a little while. Ah, I thought this post sounded familiar. I’m also a student at UCL and I remember reading it in Pi Mag. I love the Vagenda, keep it up ladies! I believe in oxytocin and the amazing complexity of our neurochemistry and romance!